Connor LaChapelle is expecting to publish his first book this year, and he is only 23 years old. LaChapelle is from Western Maine, but got an internship opportunity close to Boston when he was going into his sophomore year. From that year on and into his junior year, he has had internships in either Boston or New York City. 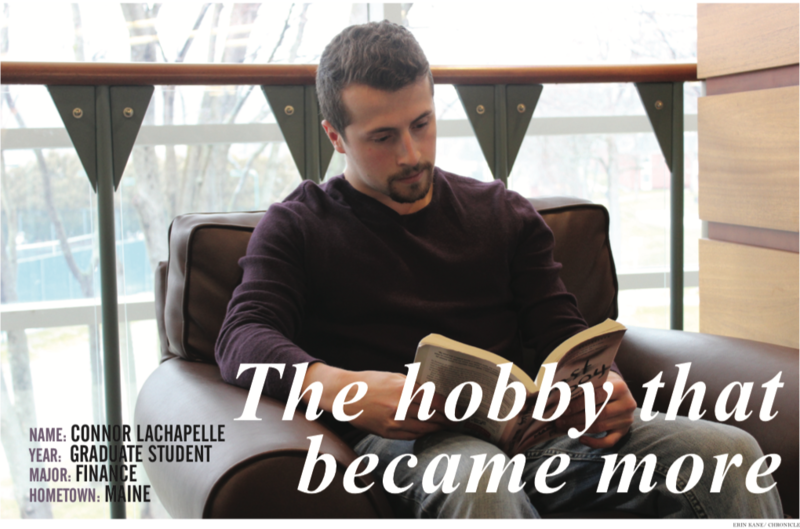 As an undergraduate at Quinnipiac, LaChapelle was a finance major. Currently, he is studying to get his MBA. So why is someone with a business background writing a book? “I was basically alone in an apartment, a lot,” LaChapelle said. In order to pass the time, he started reading. LaChapelle said that in particular, he enjoys reading literary classics. He says, “Of Mice and Men” by John Steinbeck is his favorite book. Ever since he read that book, he has been intrigued with literature. “I love to read. After that, I went on a rampage of reading,” LaChapelle said. After reading some of Khaled Hosseini’s books, such as the “The Kite Runner” and “A Thousand Splendid Suns,” LaChapelle started to write his own story. He framed a lot of his ideas off of Hosseini’s books. All of this reading is what seemed to fuel his desire to write. LaChapelle’s upcoming book is about two brothers who grew up in a very patriotic family. The novel is written as a narrative from the younger brother’s perspective. Once 9/11 occurs, the older brother goes overseas and gets killed in Afghanistan. The younger brother moves to Boston with his family, who are very prejudiced because of the war. The younger brother ends up dating a Middle Eastern woman named Soraya, which means “gem.” The book follows the turmoil that occurs due to the younger brother dating a woman who is not of Christian faith. 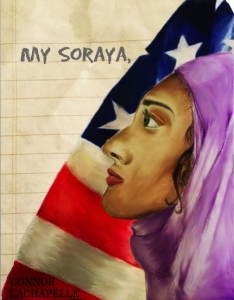 Appropriately, the book’s title is “My Soraya,” and will be published in late March or early April. “My Soraya,” is the only book that he has written thus far, but he currently is working on another. Unfortunately, LaChapelle is incredibly busy. Due to this, writing is not his top priority. He does enjoy it greatly, but it is more of a hobby than a career for him. Generally, a writer can publish one of two ways, according to LaChapelle. One can either go the traditional publishing route or the self-publishing route. In order to make the process efficient, LaChapelle conducted a cost analysis for each of the two publishing options. He ending up choosing the self-publishing route. His rationale behind this choice is that for first-time authors, traditional publishers take on a massive risk. Publishers do not know if a new author is going to be an author that sells. Given his business background, LaChapelle is extremely entrepreneurial. His ability to market and his love for selling is what made self-publishing stand out as the better option. LaChapelle’s marketing tactics include a website (which is in development now and will most likely be out in the next month and a half,) social media strategies and virtual book tours. “It’s a very virtual world out there,” LaChapelle said. Virtual book tours are a live media. Usually, a massive book blogger, who has about 10,000 hits per month, will schedule events featuring a virtual chat with an author during a particular time frame. The author is up on a video feed and people can ping chat questions directed towards the author. Ken DiCienzo, a graduate student and friend of LaChapelle’s, finds it interesting how much time and effort that LaChapelle has put into his writing even though he has not studied English in college. Nonetheless, DiCienzo believes that LaChapelle is a determined individual. “He’s insightful, which really comes out in how much he put into the novel itself,” DiCienzo said. As for LaChapelle’s writing future? He does plan on writing some more, but still thinks he is going to appeal to people between the ages 18-24, or the “New Adult” audience. These readers are the ones who have aged out of “young adult” reading. However, the content is going to be different than “My Soraya,” and the book that LaChapelle has recently started does not have a lot of multiculturalism facets in it. Ultimately, LaChapelle has a mind of determination in whatever he writes about.